Judging from YouTube, there's nothing so satisfying as seeing a huge, festering pimple get popped. 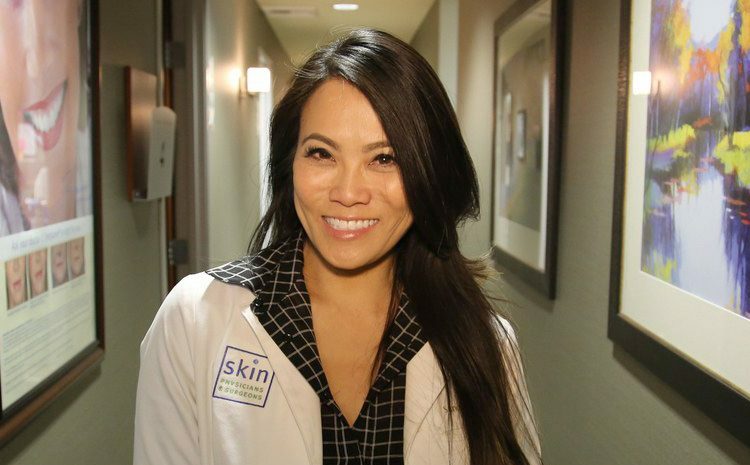 In the world of acne and pimple extractions, Dr. Sandra Lee, also known as Dr. Pimple Popper, is the undisputed star. In 2015, she started posting skin extractions from her dermatology practice on Instagram and YouTube and saw immediate interest. Currently her Instagram is at 2.7 million followers and her most popular video has 40 million views. In 2017 Lee launched her own line of skin care products, SLMD Skincare focused on treating acne. I asked her to tell us what she's learned from her years of popping pimples and actionable advice for guys suffering from acne or the occasional pimple. They always say not to pop pimples, but is that really true? When should a pimple get popped vs be left to heal on it's own? You really shouldn’t pop anything on your face unless it has come to a white/yellow “head.” If the pimple has a head, at that point it is OK to extract once because the bump is very superficial to the surface of the skin, but the area needs to be sterilized and be sure to use a clean tool. You’ll want to make sure you wash your face before with warm water to really open up the pores. It should come out pretty easily if it is ready, but if the pimple is not popping, there’s definitely a time to give up because forcing it and continually pushing and squeezing will only irritate your skin and certainly increase your risk for scarring. See a dermatologist or skincare professional to help you get these extracted. What steps should you take to properly pop a pimple? 1. Sterilize the area and be sure to have clean tools, hands, and environment. 5. See a dermatologist or skincare professional to help you get these extracted. In short, Know When To POP and Know When To Stop! 6. Whether you pop a pimple (correctly!) or find that it’s not ready to extract, I would recommend applying a topical corticosteroid and /or a topical acne spot treatment like one of my SLMD acne spot treatments — there is one that contains Benzoyl Peroxide and a version with Salicylic Acid (both excellent acne-fighting ingredients!). These are maximum strength formulas that can help reduce the size of a breakout and really stop a pimple in its tracks. Also, applying a spot treatment can help you remember not to touch the area and keep your hands off of it, which can prevent infection and further irritation. What is one common mistake you see guys making that just creates more pimples? Being too eager to pop a pimple. If you have a red pimple that hurts to touch, and is deep under the skin, it’s pretty impossible to pop it at that point. Usually if the pimple doesn’t have a head yet and is still under the skin, trying to extract it can not only be very painful, but you can cause irritation and even infection that will make it harder for the pimple to heal. Worse yet, if you really traumatize the skin, you risk scarring and that is likely permanent. For the pimple prone guy, what skincare routine would you recommend? I would keep it simple so guys are more likely to stick with a routine. It’s not just washing your face that’s important! As dermatologists, we always make sure our patients are following a complete skincare regimen — for both day and night. Having a consistent routine is crucial to keeping your skin clean, healthy and breakout free. My skincare line has everything you need — it is a twice-daily, 3-step acne system to help people of all ages and skin types fight breakouts and prevent new acne from forming. I know not everyone has the means to see a dermatologist, so I brought the doctor's office to all my Popaholics with my line, SLMD. Start by cleansing your face morning and night with the SLMD Acne Cleanser. Once you’ve cleansed, it’s equally important to make sure you’re treating your skin with the right acne-fighting products and moisturizing to keep your face hydrated and protected. Use the Acne Lotion during the day, it is formulated with antibacterial Benzoyl Peroxide to kill impurities, regulate oil production, and clear stubborn blemishes. At night, switch it out with the Clarifying Treatment. It is formulated with Retinol to keep your skin clear and to help correct texture and tone. This proprietary formula uses a special time-release technology to deliver Vitamin A throughout the night while minimizing irritation. For guys that have sensitive skin, go for my Blemish Cream. Instead of Benzoyl Peroxide or Salicylic Acid which can sometimes irritate sensitive skin, Blemish Cream features Sulfur — a powerful ingredient that works hard to regulate skin’s oil production, stop growth of acne-causing bacteria and gently exfoliate. Great for sensitive skin, and can be used morning and night. Lock in skin's moisture with a moisturizer — I have two. Facial Moisturizer is a hydrating lotion that replenishes skin and soothes irritated/dry skin. It is full of Amino acids and vitamins C and E that nourish and can protect skin from free radical damage. And of course I cannot stress the importance of SUNSCREEN! Daily Moisturizer with SPF 15 is a great product for guys — it’s a 2-in-1 moisturizer AND sunscreen product that goes on completely clear (no white residue on the face), dries fast, and works to protect skin and keep it moisturized. It’s also safe for acne-prone skin types, so it won’t irritate or cause breakouts.